Michelle Alexander”s book details the mass incarceration in the U.S.
New Jersey announced this week that it has lifted a ban on a best-selling book highlighting mass incarceration after protests by the American Civil Liberties Union. 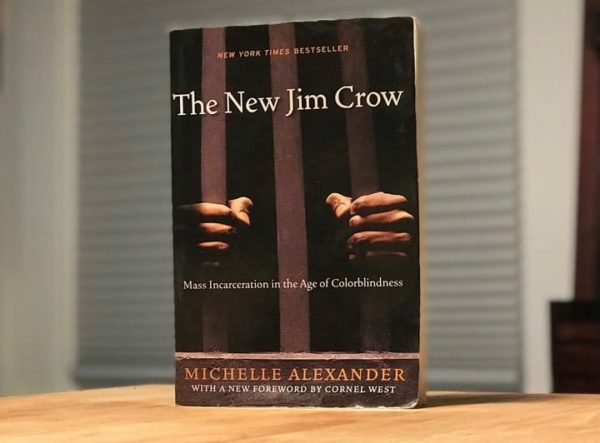 The state’s decision to end its prohibition of “The New Jim Crow: Mass Incarceration in the Age of Colorblindness” by author Michelle Alexander at two state prisons came in response to a sharply-worded letter from the ACLU of New Jersey, The New York Times reported. The memo addressed to New Jersey’s corrections commissioner Gary Lanigan, argued that the text’s presence on the list of banned books at Southern State Correctional Facility, and the New Jersey State Prison violated First Amendment protections. The group described the ban as “ironic, misguided, and harmful,” among other things, and asked that the department remove Alexander’s work from the list. It also entreated the department to review its facilities’ policies on banned texts. “Michelle Alexander’s book chronicles how people of color are not just locked in, but locked out of civic life, and New Jersey has exiled them further by banning this text specifically for them,” ACLU-NJ Executive Director Amol Sinha said in a statement. The department confirmed Monday, Jan. 8, that the ban had been lifted at all its facilities, adding that there was never a department–wide ban on the novel, according to The New York Times. It noted that Alexander’s book is utilized by The New Jersey Scholarship and Transformative Education Program, which allows inmates to take college-level classes. Schuman failed to say why the book was banned in the first place, however. Just as the Garden State lifted its ban on “The New Jim Crow,” its neighbor across the river implemented a new program restricting prisoners’ access to books. Under directive 4911A, the packages that incarcerated people in New York can receive would be whittled down to items purchased from just six vendors, Think Progress reported. So far, the first five vendors offered five romance novels, 14 religious texts, 24 drawing or coloring books, 21 puzzle books, 11 how-to books, one dictionary, and one thesaurus. The catalog for the sixth vendor doesn’t appear to be available to prisoners in the state just yet. The state’s Department of Corrections and Community Supervision has touted the new program as one that will “enhance the safety and security of correctional facilities through a more controlled inmate package program.” The Pennsylvania-based Books Through Bars collective, which sends books and educational materials to inmates across the nation, begs to differ, however. “Relying on these vendors is another financial burden placed on prisoners, their friends, their loved ones and their communities,” it added. The program was enacted last month and is currently in place at three New York prisons.